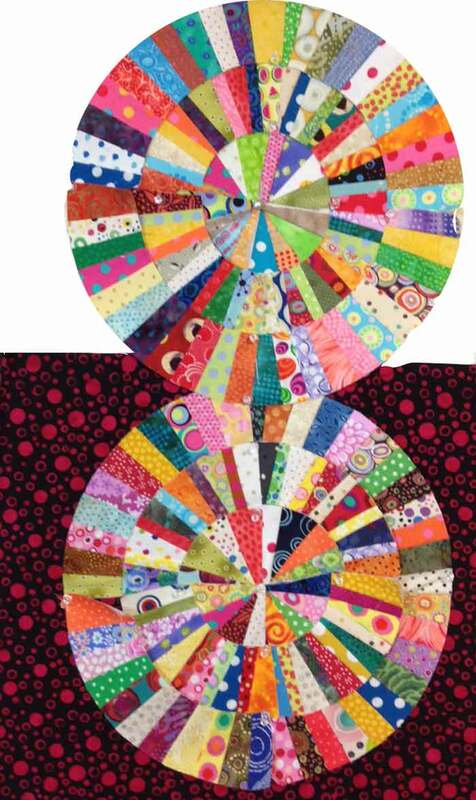 Evolution of a quilt design.. making it your own | In the Crayon Patch..
Last summer, I saw a quilt called “Everyday Best“, a Piece O’ Cake design from their book Quilts with a Spin. I was with a group of fellow quilters at Quilts at the Creek, a wonderful outdoor quilt show held annually at Black Creek Pioneer Village in Toronto, Canada. 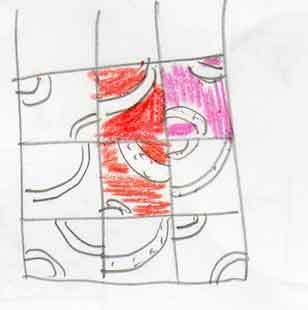 We were all so impressed with the design that we challenged ourselves to make this quilt. I have a large collection of spotted fabric, so I was sure this would be a “piece of cake”! I got started right away, and here are some of the blocks I made.. I then got busy with other things, and somehow lost interest in finishing the quilt. I have been using a lot of solids lately, and was playing on my design wall with the completed arcs and some solid reds. I was sketching, something I don’t usually do, and liked this layout so much it was the starting point for phase 2.. The red squares have been pieced, and here is the quilt in its current state- quite a transformation! So much more me. There will be a solid border of contrasting colour added, and I hope to have that added and the quilting done so that I can show it at Quilts at the Creek 2014. And here it is, completed. 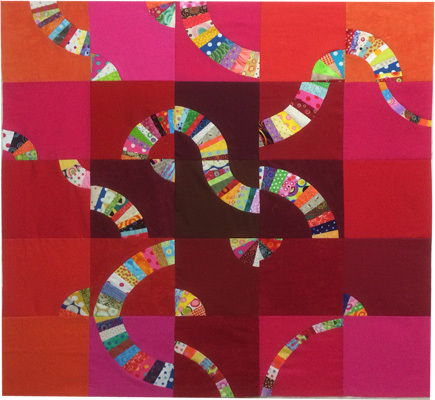 Becky Goldsmith was thrilled with this challenge, and posted about it on her blog- with pictures of all our quilts. Click here for the link.